Helmets for armed forces who operate in a marine environment is a niche sector, but one in which Gecko Head Gear specialise. The head protection requirements of armed forces vary considerably from one organisation to another and Gecko understands how to adapt products to meet specific client needs, from variations in impact protection to accessory brackets to colours and livery. 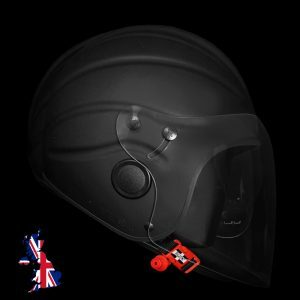 As our helmets for armed forces have derived from our traditional marine safety helmet range they can be used alongside all your usual Gecko accessories such as comms, visors and marine lights. The Royal Navy is the United Kingdom’s naval warfare force and they have been using the Gecko open face helmet in a plain matt black design for over ten years. 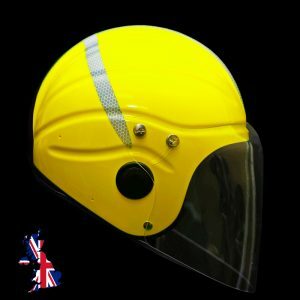 The Royal Air Force is the United Kingdom’s aerial warfare force and their helicopter winchmen have been using Gecko helmets for more than eight years, in a yellow design with silver solas reflective cross to match their yellow rescue helicopters. The Gibraltar Squadron is a unit of the British Royal Navy. It is the only resident seagoing Royal Naval unit in Gibraltar, attached to British Forces Gibraltar. 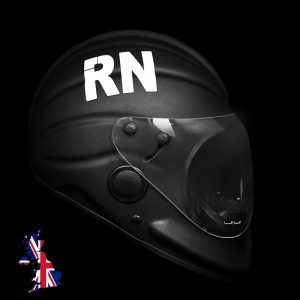 They have been wearing Gecko full face helmets in matt black with RN lettering to represent ‘Royal Navy’ for around five years. 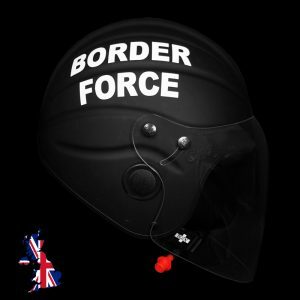 Border Force is a part of the Home Office, responsible for frontline border control operations at air, sea and rail ports in the United Kingdom. The maritime division based out of various UK ports have been using Gecko helmets for over five years. The German Navy (Deutsche Marine) is the navy of Germany and part of the unified Bundeswehr (“Federal Defense”), the German Armed Forces. 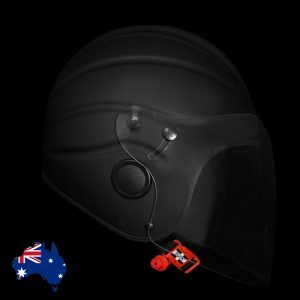 They began using Gecko helmets for their marine units for the first time in 2018, in a classic military style matt black design. The Department of Defence is a department of the Government of Australia charged with the responsibility to defend Australia and its national interests. The Australian Defence Force (ADF) is the military branch of this organisation, consisting of the Royal Australian Navy, Australian Army and Royal Australian Air Force. 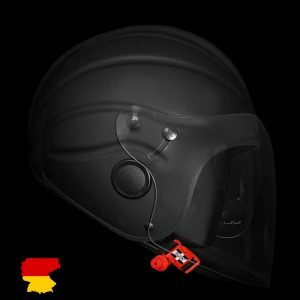 They have been using Gecko open face helmets in a matt black design for over ten years. The Hong Kong Police Force is the largest disciplined service under the Security Bureau of Hong Kong and Asia’s first police agency to operate with a modern policing system. 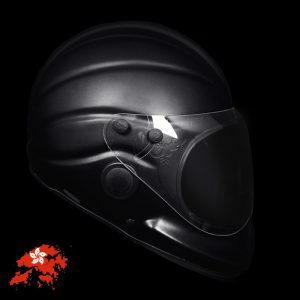 Their marine unit has been using matt black Gecko full face helmets for over ten years. 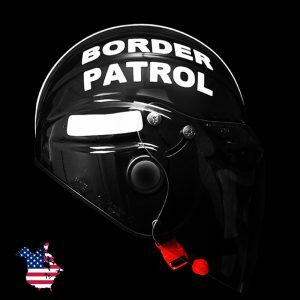 A sample helmet created for the United States Border Patrol (USBP), an American federal law enforcement agency whose mission it is to detect and prevent illegal aliens, terrorists and terrorist weapons from entering the United States, and prevent illegal trafficking of people and contraband.